The Invest Local Book Blog. 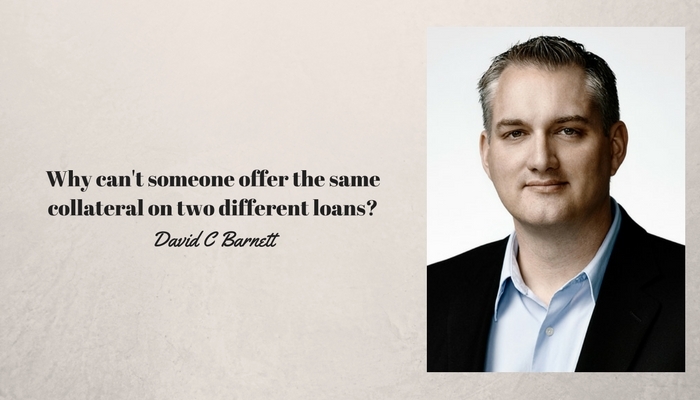 : Why can’t a borrower offer the same collateral to many lenders? I got a question from a viewer in Prince Edward Island the other day. He had read my 2014 best-selling book, Invest Local, and had a question about preparing information for a lawyer in order to register security on a lending deal. Many people who are contemplating investing in a small business via making a secured loan often wonder how they can make sure the borrower isn’t offering the same collateral to more than one lender. The system is so straight forward that many local investors register their own security using online services. This is in contrast to real estate registries which are strictly the domain of attorneys because they are so complex and every jurisdiction is unique. I’ve done dozens of deals where I’ve registered myself, using a third party service provider, as a lender in a PPSA database. I’ve also done many lien-searches when investigating the purchase of used vehicles or equipment. It’s critical to learn how this works if you want to deal in lending or used equipment because a lender’s rights under a lien don’t go away if the property is sold. Simply put, if you buy an RV and there is an outstanding loan secured against it and the loan goes into default, the lender can still take it to satisfy the debt whether you bought it or not. If you would like to hear from me weekly before anyone else, you can sign yourself to the left of this post.